You don’t need to do every workout inside the box! Taking things outside is fun and it can really recharge your motivation. The principles of the Firebreather Fitness program provide a framework for you to develop your own programming, adding your unique perspective, imagination, and intuition into your programming. Although the workouts below are some of my favorites, I encourage you to take what works and make changes where you feel they are necessary. This was one of Coach Glassman’s favorite outdoor workouts, and we conducted it on a variety of outdoor surfaces, from sand to grass. An extra challenge is to perform this workout on a hill, running up and down, and performing the squats at the bottom. 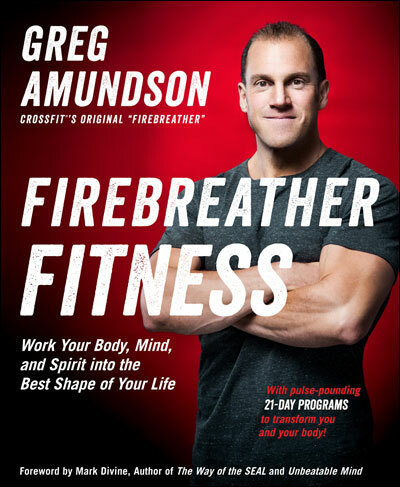 This is one of several outdoor WODs for vigorous training from Firebreather Fitness. You can be scale it to your current level of fitness. If you want to make it even simpler, just put on running shoes and get out on the trails for an hour, hop on a mountain bike and explore, or learn a new sport you have always wanted to try. All of these will do wonders to energize and invigorate your training.